Ensure that you have the coverage that you need with these insurance resolutions. The year has come to an end, and it is time to look toward the new year ahead. It’s the perfect time to start making your resolutions, but it’s also a good time to review the important things in life. It’s important to ensure that you have the right insurance coverage so that you can rest easy knowing that your loved ones are well protected. 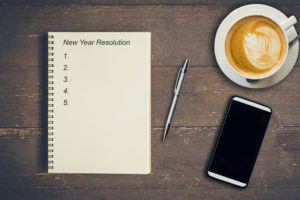 Check out these insurance New Year’s resolutions so that you have the coverage that you need. A lot can happen over the course of a year. Whether you’ve purchased pricey artwork while traveling abroad or if your significant other gifted you expensive jewelry this year, it’s important to update your homeowners insurance policy. In fact, it’s important to keep track of all your home possessions so that in the event of a disaster, you know exactly what you need to be replaced. Make a resolution to conduct a home inventory. Document everything that you have with plenty of pictures so that you know what you need to keep track of. There are various ways in which you’re able to save on your auto insurance policy. If there have been any changes to your driving habits, you may be able to qualify for additional discounts. From the type of car you drive to the distance you drive, if there have been any changes in your driving habits, be sure to take note and update your insurance policy. That way you have the coverage that you need to adequately protect you. Resolve to pay extra attention to your insurance policies. Make the necessary updates so that you have the coverage that you need. Contact the professionals at Robert J. Los Insurance Agency to find you the right insurance plan. Located in Hamburg, New York, we serve all your personal and commercial insurance needs.